Low-cost airline Norwegian is launching its busiest ever winter with brand new low-cost flights from Manchester to Gran Canaria and Tenerife this week. Sun-seekers have the perfect excuse for a winter getaway with fares available to the Canary Islands from £39.90. 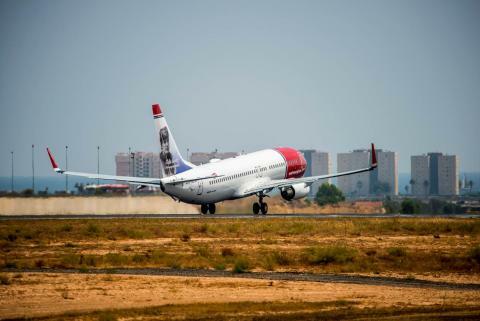 Norwegian’s inaugural flight to Gran Canaria departs on Sunday 30 October with a twice-weekly service and the carrier’s brand new twice weekly flights to Tenerife commence on Monday 1 November. These new routes will be exclusively serviced by brand new aircraft offering all passengers free inflight Wi-Fi and live TV on board. Norwegian’s new route to Gran Canaria will operate throughout the winter while services to Tenerife will continue year-round. The new Canary Islands destinations join Norwegian’s three newly launched routes from Manchester this year with the addition of Malaga, Alicante and Barcelona to the fast growing airline’s network. The launch of the Canary Islands routes follows the introduction of new routes to Malaga and Alicante alongside a summer-only route to Barcelona in June which is set to return next summer. Fares are currently available this winter from Manchester to Malaga and Alicante from as low as £29.90.